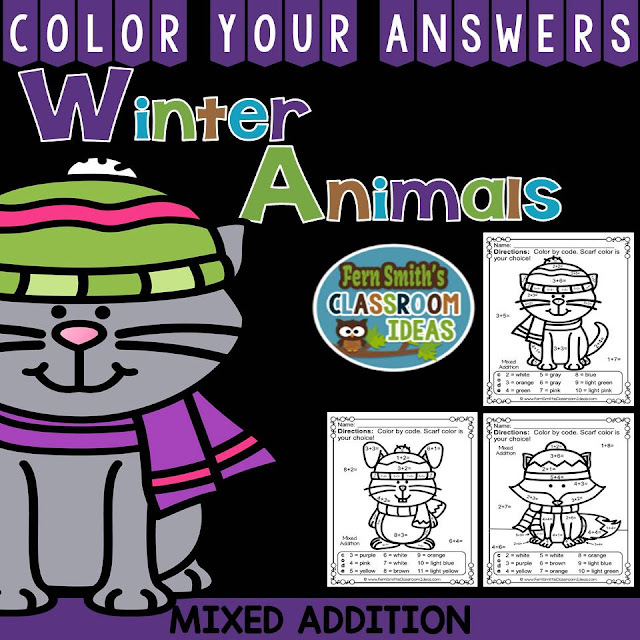 Winter Math: Winter Fun! 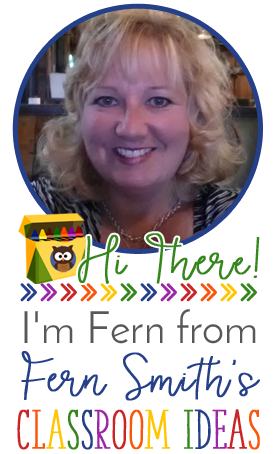 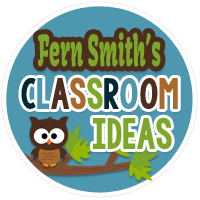 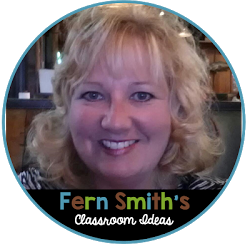 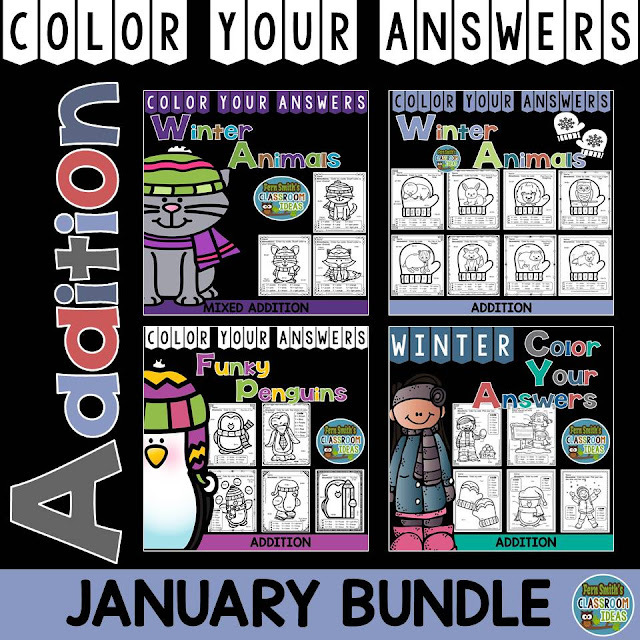 Winter Math January Bundle for Addition Facts - Fern Smith's Classroom Ideas! 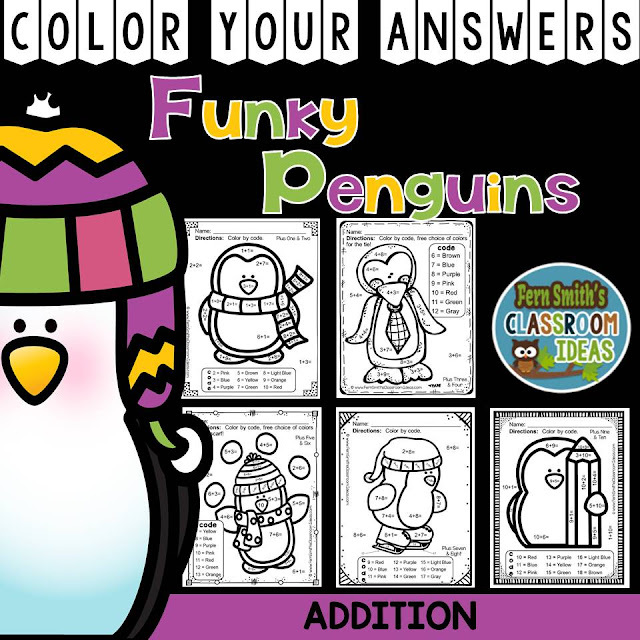 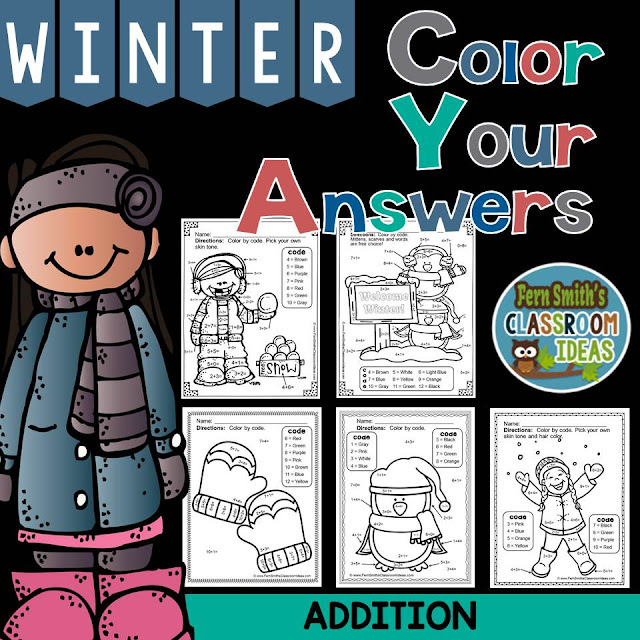 Color Your Answers Printables for an ENTIRE MONTH for Winter Addition, perfect for winter time in your classroom, all winter, no holidays in the entire bundle. 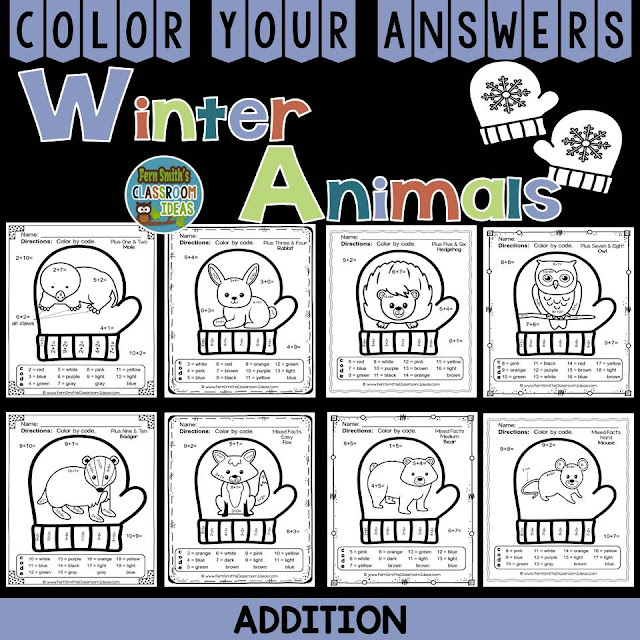 TWENTY-ONE No Prep Printables and TWENTY-ONE Answer Keys for basic addition facts with a FUN Winter Theme that can be used for your math center, small group, RTI pull out, seat work, substitute days or homework! 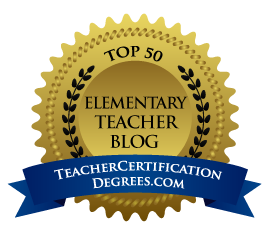 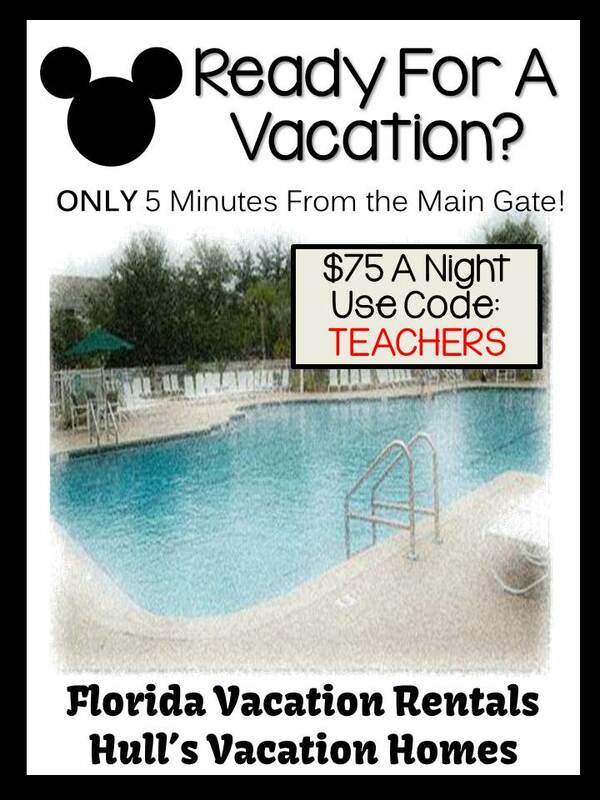 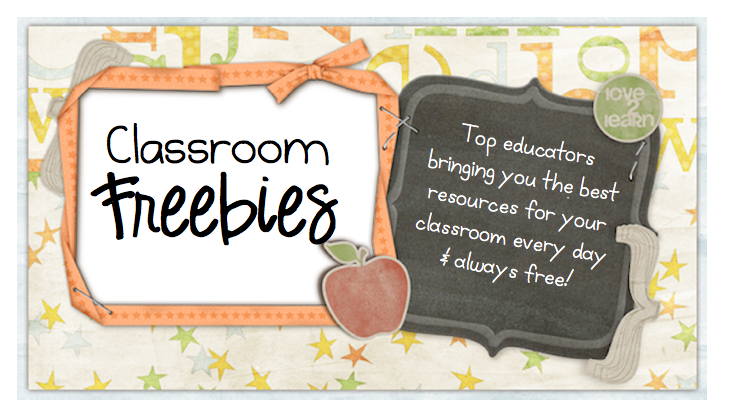 Click on any of the following pictures or titles to buy just that resource from TpT instead of the larger bundle.